Courtesy of Oliver Halder, Bodenseequerung, Germany. Sven Eckardt is a 47-year-old German swimmer from Gärtringen whose nickname is Dr. Svimmm. After years of success in pool swimming as a disabled swimmer, the handicapped paraplegic with cerebral paralysis on his legs wants to achieve a lifelong dream. He will attempt a 12 km widthwise 12 km crossing of Bodensee (Lake Constance), the largest lake in Germany, the first attempt by a handicapped swimmer. 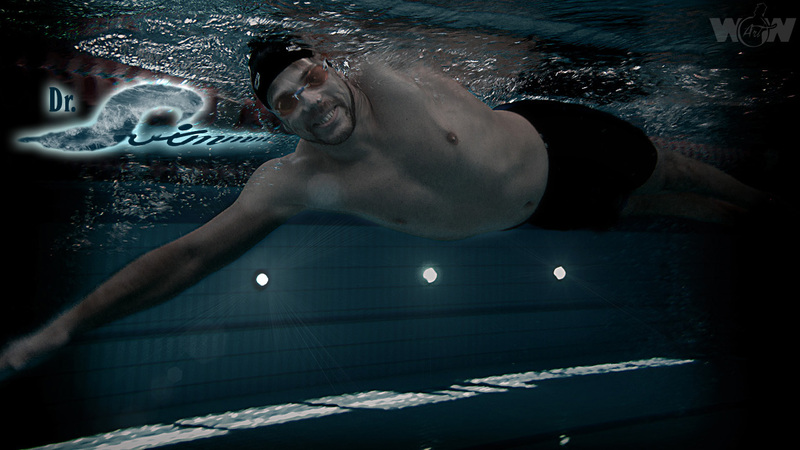 He will swim with a commercial pull buoy to support his paralyzed legs. Eckardt will be supported by Oliver Halder and his colleagues at the organization Bodenseequerung. "Besides achieving his own dream, Sven also wants to to encourage other disabled people to set their own goals and realize their dreams." He is a consultant in energy questions in hotels around the world who holds a doctorate in engineering.